A cohort of racial justice and civil rights organizations delivered a petition advocating for major police reforms to the Department of Justice this afternoon. With more than 500,000 signatures, the petition urges the White House to defund police departments that reject community-based reforms. It also calls for justice in the fatal police shootings of Alton Sterling and Philando Castile. Color of Change, which led the effort, partnered with Advancement Project, BYP100, the Movement for Black Lives Policy Table, Black Lives Matter and the NAACP for a 2 p.m. press conference. No highlight, championship or individual accomplishment showcased during the 2016 ESPY Awards Wednesday night was more powerful than the show’s cold opening. 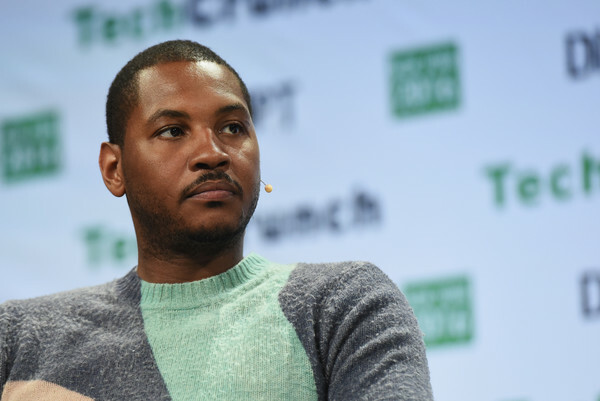 Reminiscent of Muhammad Ali’s black athlete summit from the summer of 1967, Melo started the show on a moving note when he was joined by fellow NBA stars Paul, Wade and James in a three-and-a-half-minute speech that, because of its social significance, timeliness and let’s face it, the need right now for more thoughtful and serious social leadership, may have eclipsed the legendary Jimmy V speech as ESPN’s finest moment. According to theurbandaily.com, Issa Rae, star and creator of The Misadventures of Awkward Black Girl and the upcoming HBO series Insecure, in an effort to take positive action after the police shooting of Alton Sterling in Baton Rouge, Louisiana earlier this week, started a scholarship fund for his children. t not only exceeded its $200,000 goal within hours, it is currently at over three times that amount, at $664,986. Sterling, a 37-year-old father of five, was fatally shot by police outside of a Louisiana convenience store on Tuesday. A graphic video of the altercation shows Sterling being held on the ground before being shot multiple times in the chest and back. The incident has sparked national protest, and a civil rights investigation has been opened by the Justice Department, the New York Times reports.